For Season 5’s second Last Chance Design Lab challenge sponsored by CND, Jenna Jupin and Melisa Salazar will battle it out one-on-one to see who has a chance of staying in the competition. CND’s Jan Arnold will select her favorite look Friday and you’ll find out who will remain for at least one more week. Since Jenna packed her paintbrushes after LeChat’s Perception vs. Reality challenge, this week’s Last Chance challenge is loosely related. Locket Love: Show us a locket on a nail tip. Jan is looking for an encased nail that shows what’s inside through a clear window. For hundreds of years, people wore mourning lockets to commemorate their dead loved ones. People started making memorial jewelry using the deceased person’s hair, because there was no photography and if your loved one died, you wanted something as a touchstone to remember them every day and for some of them to still be there with you. I brought this back in nail art form. For this design you can also use hair from somebody that you love, that still are with you. In my Love Locket nail design you’ll find encased braided hair from somebody I love. I dyed the hair to give it a little more color. 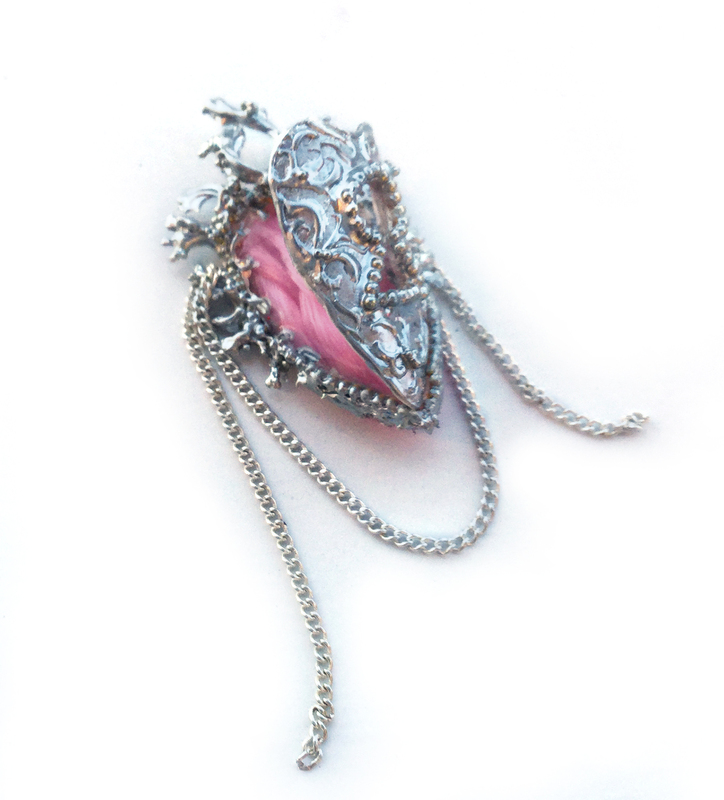 I cased the design with a Baroque frame and armor to open and close as a real locket and to protect my love. For thousands of years, we have used the locket as an intimate symbol to represent our pain and happiness. Lockets capture our imaginations because of the personal and historic stories they tell. Who can resist opening a locket to see what secrets it keeps safe? 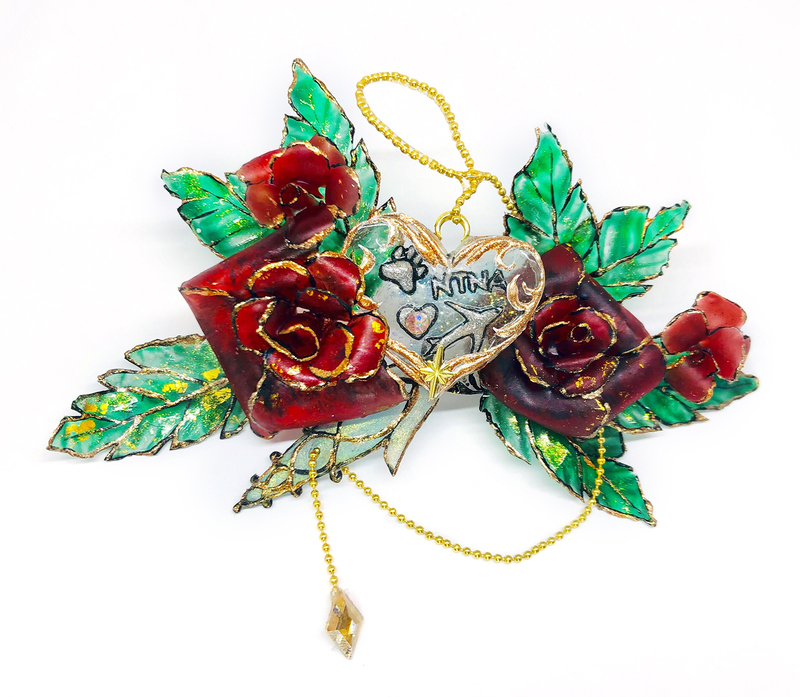 Today, in an age of social media, where it is more difficult to have your own personal space and to keep your secrets secret, my transparent Love Locket captures my personal story. It’s a simple love story about a boy, a girl, and a dog who have traveled across oceans and countries together in search of adventure! My locket has all the intimate moments that make up my story. My family, Snoopy, my travel memories, and now NTNA Season 6. I’m amazed how much NTNA has been a part of my life these past six months. From the video application, pre-challenges, weekly challenges, and now Last Chance. I decided to make the design clear to give a glass effect to my nail design. Roses are made with Perception translucent gel-polish from LeChat in red and green. I made my locket heart with CND Brisa hard gel. The charms inside of the locket were also made with hard gel and hand painted over. Congratulations to Jenna Jupin for winning the second Last Chance Design Lab challenge of Season 6! Jenna went up against Melisa Salazar to show us her interpretation of a locket. CND’s Jan Arnold chose the winner.